I've been writing since I was in the third grade, including a play about Pocahontas performed by third graders and documented by a local Virginia newspaper. I've authored poems, children's books and fiction romance mysteries. Writing is my passion and my therapy. Multiple Sclerosis limits my physical activity but I can do anything on the written page! As a mother, grandmother, and retired kindergarten teacher, I've always loved reading books. I found many books didn't involve the children’s interaction in the stories so I decided to write my own. What fun I've had watching the wonder of a child's imagination while reading my books. I have an A.S. in CIS, B.S in Business Management, Duke Professional Certification in Technical Communication and multiple writing certifications, including best selling author James Patterson’s Master Writing class. I'm a member of the Southern Wake Writinghood, Holly Springs Writers Guild, Triangle Writers Guild, North Carolina Writers Network, Society of Technical Writers, and NAEYC. I believe education is important for life skills but doesn't always fulfill one's life passions. I'd like to encourage everyone to pursue their heart felt passion along with their education. Having life skills and life passions creates a fulfilling life style! E.B. Willis has created a wonderful interactive educational book that is ideal for children, as well as special needs children and adults. The Wiggle Exercise Book is a beautifully written short story about a little girl, Gia, and a little mouse, Morie. Once upon a time they met and they realized that they had something in common: wiggling. Each time the word "wiggle" is read, Gia and Morie break out in a dance. The Wiggle Exercise Book makes everyone that listens to the story want to MOVE! Adding to the fun, the reader pauses to allow the listeners an opportunity to wiggle. This fun book will get people moving and laughing as they each create their own wiggling style. The focus of The Wiggle Exercise Book is to stimulate word recognition and listening skills. As I was reading The Wiggle Exercise Book by E.B. Willis, I couldn't stop smiling because I envisioned, as the story was being read, how all of the the listeners are engaged and enchanted as they wait for the chance to wiggle as soon as they hear that magic word. 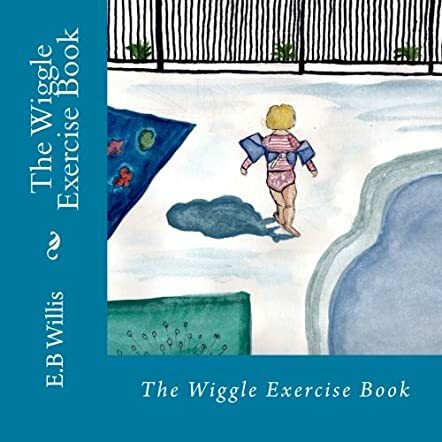 Not only is The Wiggle Exercise Book an entertaining story, but it's educational and it stimulates a form of exercise, so now wiggle until your heart's content. All the children I've read this book to have requested I read it again and again! It's such a cute book.